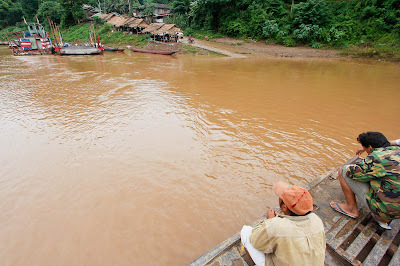 Crossing the mighty Mekong River. 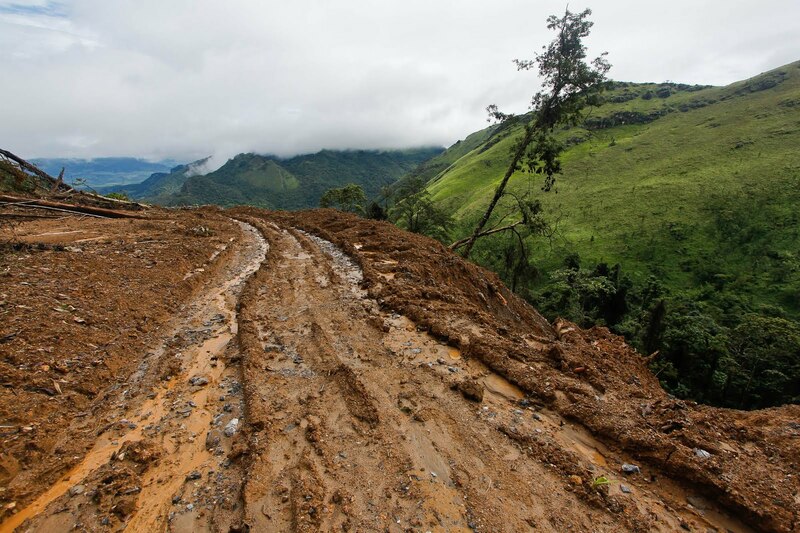 New road across the Phu Phalampan mountains. 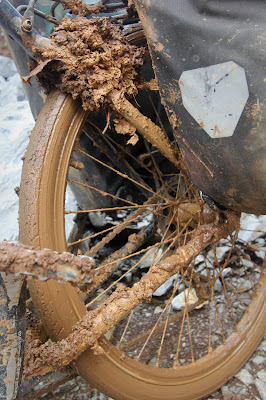 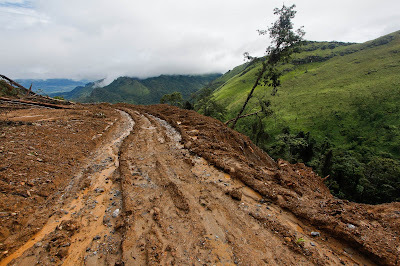 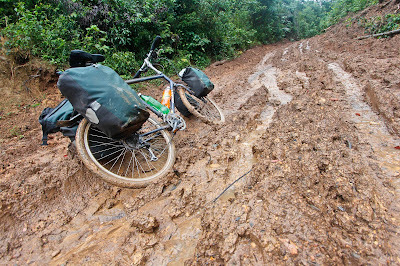 Muddy mountain road in the wet season. 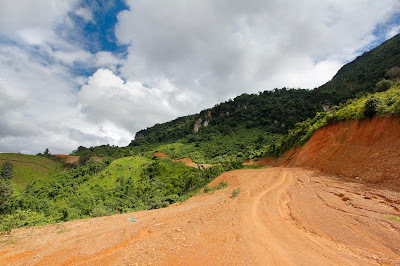 Phu Phalamphan, Laos.